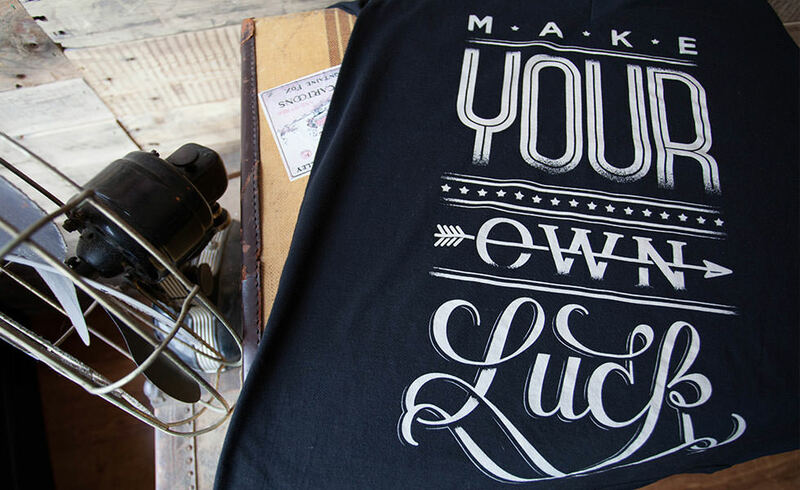 Designer & letterer , Teresa Wozniak, is one of our go-to artists for inspiration. We stumbled upon this piece she had chalk lettered on the wall in her bedroom and instantly knew we wanted to print it. She was awesome enough to share it with us so we could share it with you as a tee. Trying to keep with true chalk fashion, we printed a natural discharge on black 100% cotton mimicking her wall. 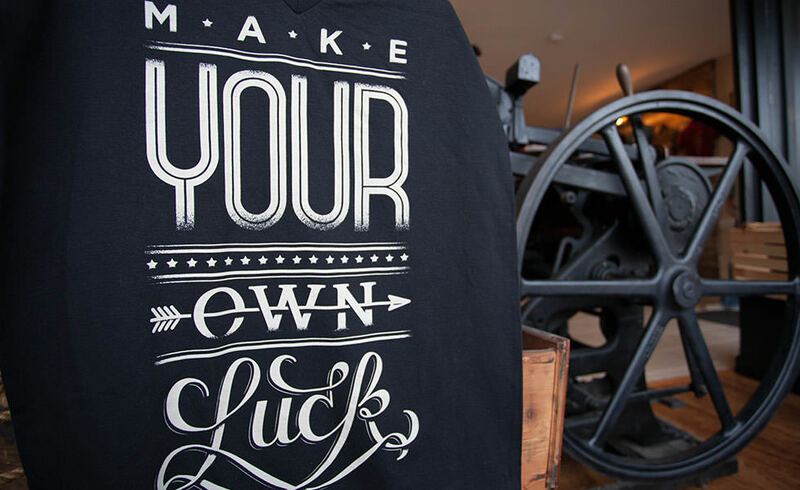 This tee is available at our retail shop.